While studies have shown that on a dollar-for-dollar plane, plug-in vehicles do not always pan out, other hidden benefits continue to draw drivers to the power outlet as a fuel source. Why do people buy plug-in cars? Quite often it's the hidden benefits and added perks that make them much more attractive (beyond the bragging rights and feel-good asides that come with green car ownership). These benefits are tangible, in a way, and not usually included in most total cost of ownership analysis. Torque News talked with several plug-in car owners about their experience with their vehicles and their surprising reasons for purchasing them. Studies have shown that, in a pure fuel-to-fuel comparison, a plug-in electric vehicle (PHEV) like the Chevrolet Volt or the new Prius Plug-in are much cheaper to operate than gasoline or diesel vehicles. Our own David Herron made his own comparisons on that level. Other studies, however, have shown that total cost of ownership for consumers does not always pan out in favor of plug-ins. Even just a straight comparison using the tools at NADA Guides shows that total cost of ownership for a Prius Plug-in versus a 2012 Honda Civic or Ford Focus Hatchback are nearly $10,000 different - in favor of the gasoline cars. Most of this cost difference is in the higher purchase price (often called the "hybrid premium" or "plug premium"). 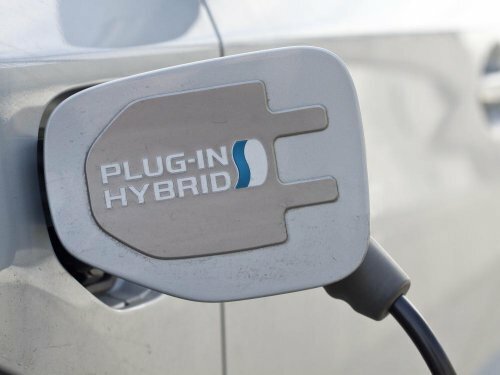 The Union of Concerned Scientists also says that where you live greatly affects how environmentally friendly your plug-in really is, with many areas of the U.S. giving no advantage to plug-ins over regular gasoline options in terms of greenhouse emissions. Even with this, however, the less tangible perks can be a big draw for these vehicles. Access to the high occupancy vehicle (HOV) lane (aka the "carpool lane") can mean a lot of time saved off of commutes, adding up to hours of time weekly that can be used for more productive things. Mike is an app developer in the Bay Area of California. He commutes about 40 miles each way on Interstate 880, which requires about an hour on average if he has no carpool lane access. He recently purchased a 2012 Toyota Prius Plug-in and says that a large part of his choice was HOV access. He pre-ordered his Prius Plug-in six months ago. Access to the faster carpool lane means he'll be saving about 20 minutes each way on his commute. That's 40 minutes a day or about 3 hours a week. Torque News: Was the HOV allowance a big reason you bought a plug-in Prius? Mike: "Yes, of course. In fact, the dealer said almost ALL his pre-orders gave that same reason." April is an artist and songwriter living in the Los Angeles area of California. She owns a Nissan Leaf electric car and regularly drives around the valley for her work. HOV access was also extremely important for her. Torque News: Was access to the HOV lane a big part of your Leaf purchase decision? April: "Absolutely. I drive all over this valley everyday and even outside of rush hours getting around outside of the carpool lanes can be nerve wracking." In California, plug-in hybrids like the new Prius will have access to the HOV lane until 2015 while battery electric cars like April's Leaf will likely have indefinite access. In other areas of the country, including places like New York City and Atlanta, Georgia, HOV access for alternative fuel vehicles is also available. In many places, specially-marked parking spaces for plug-ins are available. Most big venues such as hospitals, government buildings, airports, and some large gathering places like concert halls and stadiums have special parking spaces reserved for vehicles that can plug in to charge while there. They are enforced in a way similar to handicapped stalls and are, by all accounts, nearly always available to plug-enabled drivers. In a crowded place where parking is at a premium, this can be a huge benefit. Torque News: Your reasons for choosing a Prius Plug-in over an all-electric like a Leaf or similar give the assumption you don't have access to a plug at work. By 2015, do you think that will change? Mike: "That will probably change for BIG businesses (say Apple / HP, etc.). One thing the dealer told me [is that] there are some parking lots in [San Francisco] where there are a few space reserved for plug-ins. Those are almost always empty. Even if it was a Prius Plug-in instead of a Leaf, say, you could plug in and get a space (the pkg lot was full, otherwise)." Torque News: "Is access to plug-in parking spots another benefit you utilize often?" April: "That is a huge benefit that only someone who lives where things are tight can appreciate. It is probably a bigger deal in New York or Paris but here in the valley, I take advantage of it once in a while too. Especially when downtown [in Los Angeles]." Stan is a computer programmer and developer living in the Seattle, Washington area and the owner of both a 2012 Chevrolet Volt and a 2011 Brammo Enertia motorcycle. "Parking is a big deal in some parts of town here. I park at a plug in spot everyday where I work actually." Most hybrid vehicles have shown themselves to retain trade-in values better than their gasoline engine counterparts. Battery electric and plug-in electrics have not been on the market long enough to find out if this holds true for them, but it's likely that they will also retain their values - especially PHEVs. Although this is often included in the total cost of ownership assessment researchers and fleet managers will make, it's a big benefit some consumers are finding works to their advantage. Mike: "I will say my prior [standard hybrid liftback] Prius was 6 years old and nearly 70K miles so it was time (IMHO). I was impressed by the trade in. Got about 40 percent of orig. price despite the age and mileage (and traiding it in instead of selling it)." April: "My former car was a Prius and I got a really good trade value for it and the dealer told me that they have a good resell and sell fast too. I think the Leaf will be the same when I trade it in someday." Stan: "I bought the Brammo without a trade so I cannot tell you if that mattered there but with the Volt, I sold my Honda [2004 Insight Hybrid] to a friend for a lot more than a regular Honda Civic would sell for in the same condition. I bought that car for about $21k I think and sold it for $7,500 at nearly 100k miles. Hondas last forever though. I am hoping the Volt has the same kind of resell track record and it seems like it will." If you live in the right area when you purchase and drive a plug-in vehicle, you can reap a lot of benefits such as those outlined above. Beyond controversial tax incentives, questionable "green credibility" and other aspects, the ownership of a plug-in can often mean less stress and more time to do things other than driving to and from places. These benefits are tangible, but only to the drivers who own these cars and are not likely to show up in cost of ownership assessments or other valuations. I always hate it when they compare the Volt or a Prius Plug in to a standard gasoline car. I'm sorry, but you don't tend to compare apples to apples. The fusion they compare it to is the base price. Usually the plugin car is exceptionally equipped. I know the most irritating thing is when they compare the Volt that I know and have driven for over a year to a Chevy Cruze. It is absolutely a different grade of car. It's much more premium and trimmed out with all the extras. It is a MUCH higher quality car. I always thought the same of the Prius, and it's hard to compare the Prius to a different car as it's a class of it's own. They would always compare it to officially compact cars. However, the Prius has always technically been a midsize car. Sometimes they even go the length to compare it to a sub compact car. The truth is yes, you can buy an extremely cheap Nissan Versa or something at 1/4th the price of a Volt, but come on. They are nowhere near the same class of car. Not a bad story, and not written badly at all. Just adding my opinions on the matter! The point of comparing a plug-in and/or hybrid to a gasoline car is to compare cost efficiency. For instance, if I purchase the Hyundai Sonata Hybrid or a regular Hyundai, what am I getting for the higher price of the hybrid? What is the ROI on that hybrid premium? The Volt's closest contemporary is the Cruze upon which it is based, so they are compared. Honestly, though, the Volt is priced as an entry-level luxury car and isn't anywhere near that in fittings. It's a nice car, but it's not THAT nice and seating only four severely limits its appeal. I've told this to GM executives directly. Not everything in the world can be compared apples to apples. I've read most of the studies that find hybrids to be or not to be better than their contemporaries or "worth the money". In many cases, the price of the plug-in is not worth it, in my opinion. Not for my needs, anyway. If we don't compare plug-ins to the cars they're supposedly going to replace, then the only people interested in them will be those who would have bought them anyway. Which currently appears to be less than 1% of the market. I wish my truck was a plug in hybrid. Not for the fuel economy(though it would be really nice) but for the ability to run the air conditioner when working in my truck on my laptop with out the engine running. I hope they come up with a way to perhaps to use the truck electrics to run tools and not need to lug a generator around with me.